What’s Happening This Weekend, Dr. Doyle? 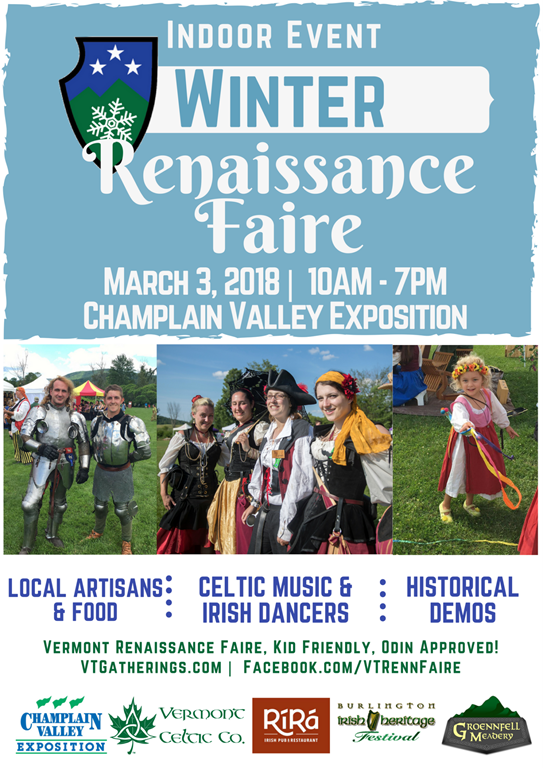 What’s happening this weekend on March 3 is that my spouse and co-author, Jim Macdonald, is going to be doing his stage magic at the Vermont Winter Faire in Essex Junction, Vermont. This is an indoor faire, being held at the Champlain Valley Exposition event center. Once again, he’ll be doing walkaround magic all day; this time, he’ll also be doing a stage performance at 2:30 PM. If you’re in the area, come by and give him (and all the other vendors and performers) a look!